Blended learning has the potential to transform the way teachers teach and students learn—if we take advantage of all that it offers. The dissemination of digitized, teacher-driven content is not full blended learning. Though this can be viewed as a first step toward new models of learning, the peril lies in complacency. When blended learning is equated with digital workflow, students remain consumers of teacher-directed content instead of becoming creators of knowledge within a context that they can actively control. True blended learning affords students not only the opportunity to gain both content and instruction via online as well as traditional classroom means, but also an element of authority over this process. Freeing students from the confines of the school day, the walls of the classroom, the sole expertise of the teacher, and the pace of the rest of the class, blended learning could fundamentally change the system and structure of school, and provide students with a more personalized, active learning experience. 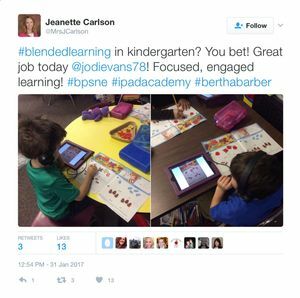 Last year, I interviewed three instructional coaches from Bellevue, Nebraska, about their 1:1 iPad initiative (where each student has an iPad) and their move to blended learning. They described efforts to provide multiple avenues for students to access content, strategies for using audio and video to scaffold independent learning, opportunities to adapt instruction based on real-time data, and the chance to engage in more meaningful face-to-face conversations. These coaches saw blended learning as providing students with control over how they learn, the pace of the learning experience, and where they might choose to learn within the classroom. For example, Ann Feldmann (@AnnFeldmann1) described how teachers might harness the power of screencasting to read and explain content—allowing students to choose the pace of their learning as well as the mode through which they experienced the content. To prove that all students can benefit from these opportunities, Ann’s colleague Jeanette Carlson (@MrsJCarlson) tweeted the image at left. These kindergartners not only learned to work independently on an analog task but also leveraged videos to help them decipher directions and comprehend the material. At a more advanced level, Jeanette found blended learning particularly helpful in teaching challenging concepts during her business class. Through screencasting, she essentially cloned herself, creating a video to walk students through a difficult task. This blended approach freed her from the front of the room so that she could work with students on an individual basis and provide customized instruction. Ann and Jeanette’s colleague Jeffrey Bernadt (@JeffreyBernadt) elaborated on the concept and shared how he leveraged blended learning to provide his high school social studies students with multiple options for acquiring content knowledge—video, digital text, paper or e-books, or face-to-face conversation. Instead of requiring students to sit in desks and learn in lockstep, Jeffrey created an environment where his students could control the path, pace, and even place of their learning. 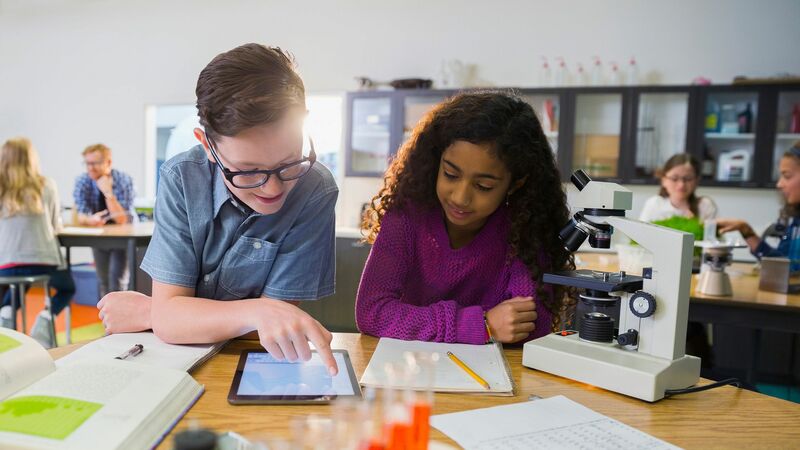 These examples highlight how students can engage with blended learning to gain content and instruction, but the coaches also described how digital tools give students new voice and choice in demonstrating their learning. In a 2013 Christensen Institute report, the authors pose the question: “Is K–12 blended learning disruptive?” That is, does it create a new definition of what qualifies as “good”? They argue that to be disruptive, blended learning needs to replace the existing teacher-directed orientation of school with a more student-centered model. 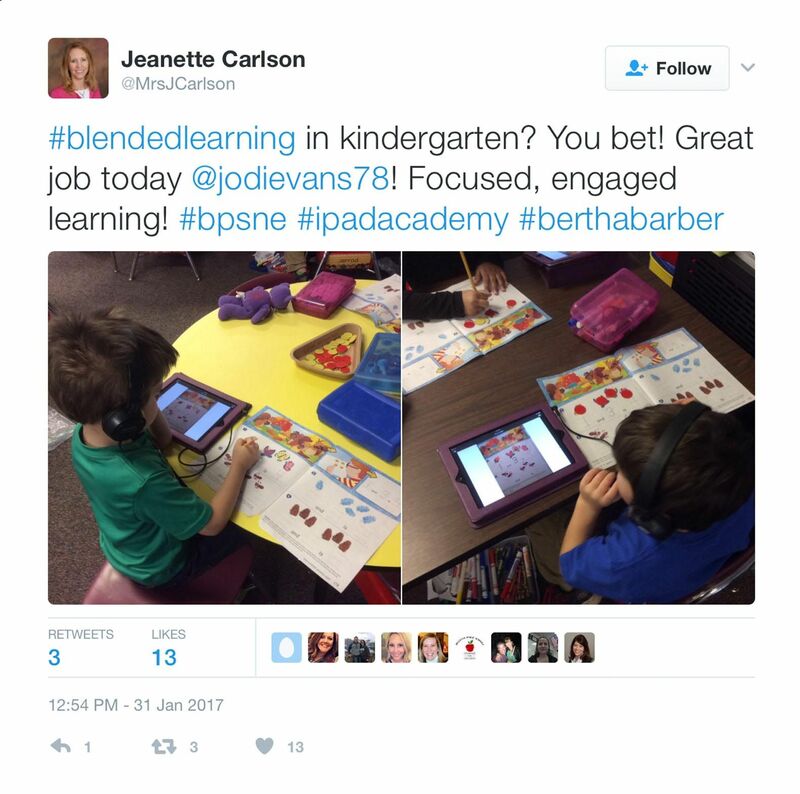 Blended learning could create a new definition of teaching and learning (the promise), or it could become nothing more than a digital version of a traditional notion of school (the peril).